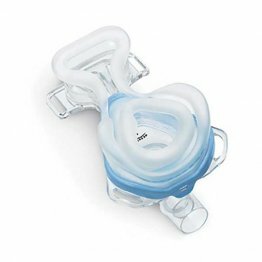 Comfortable replacement cushions and support for the EasyLife Nasal CPAP Mask with Headgear. These cushions are designed to auto-seal and to not rely on pressure from the headgear to form the airtight seal. 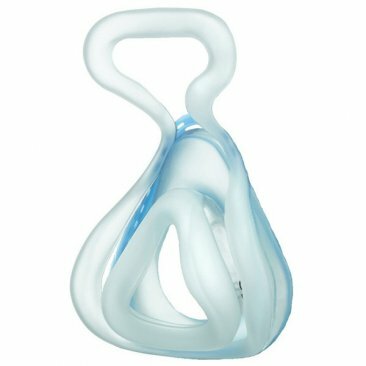 The outer cushion provides support by resting gently against the patients face, providing stability to the mask. The inner cushion provides the actual seal. These cushions are designed to create a better seal and a better fit to provide patients with a fantastic night’s sleep. This support and cushion system is latex free and made with soft silicone for optimal comfort. Available in five sizes: Petite, Small, Medium, Medium-Wide, and Large.